When it comes to travel luggage, the right set can make all the difference. Whether you are looking for a single bag or a full sized set of expandable luggage, you’re sure to find some great options in this list. Are you seeking the most durable luggage sets? Whatever you’re after I’ve got several suggestions for you below. Remember US travel luggage and global travel luggage can vary, especially when it comes to carryon bags so make sure to keep measurements in mind. Buying luggage is no small feat. There are hundreds of options in all shapes, sizes and bag types. It can be hard to know where to even begin. A good idea before you spend is to really consider what your needs are when it comes to luggage. 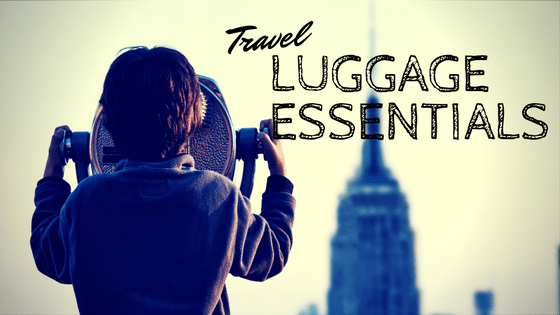 What are your travel luggage needs? Do you need carry-on bags or checked bags? How much do you typically like to pack? These are two major questions to consider when it comes to your bag needs. If you’re a light traveler than buying one or two high quality carry-on bags may be the best investment for you. If you travel heavy and like to always have a checked bag then you’ll want to look for larger bags that are lighter weight to give you the maximum space possible. If you do a mixture of travel then having a suitcase set may best fit your needs. It can be really tempting to pick up a big luggage set just to cover all of your bases. Typically they are available as 3-piece, 5-piece and even 7-piece sets. But, do you really need all those pieces? More often than not you won’t end up even looking at many of the items. Your money could have been better spent on quality luggage in fewer pieces. For most travelers a carry-on bag (or cabin luggage), medium sized bag and large bag are more than sufficient. There are two main types of luggage; hard case luggage and soft luggage. Which you choose is really a personal choice. Soft case luggage gives you a little more flexibility. It’s typically expandable giving you a bit more wiggle room with your packing. But you’ll want to double check as sometimes this luggage has a hard layer of reinforcement inside making it deceptively soft. Soft luggage also can take quite a bit of wear and tear without showing. If the fabric does rip it can often be repaired simply; making it last a bit longer. Hard case luggage actually come in two types; hard side and hard case. A hard side means that it has been reinforced but they’re not completely solid whereas hard case luggage is inflexible. The case is meant to be strong enough to withstand quite a bit of pressure and protect what is inside. A downside of these bags is that the space you have is what you have. They’re often not expandable and you are more limited. An issue with these bags used to be that they would frequently bend or crack and you’d need to completely replace the luggage. Today’s bags are much better constructed so this is less likely but it is still a possibility. What kind of wheels do you like? Today’s luggage comes with two wheel configurations. 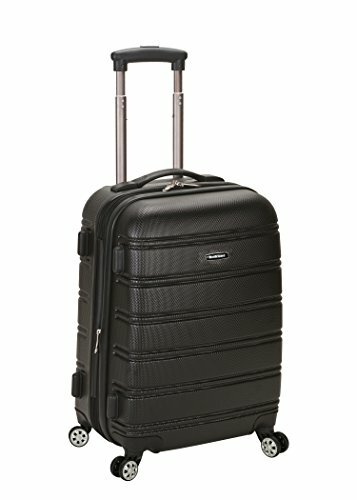 The standard fixed wheel where you can pull the suitcase along. Or swivel wheels that allow you to keep the bag upright and either push or pull the bag. This is completely a personal choice over which one you like best. Where do you most often travel? An important question to consider when you’re looking at the size of the bag you’ll purchase. For example European low-cost carriers have much smaller bag limit sizes that US legacy carriers. If you show up with a US sized carry-on you’ll more than likely be charged to check the bag. If you travel in the US most often than make sure your bag size is appropriate. However if you travel internationally often you may want to compare bag size limits across the board and go for luggage that you know will work no matter where you are going. The Samsonite Tote-a-ton is roomy, casual, and versatile. Made of 100% Nylon, the bag measures 32.5 inches long and 17 inches wide. This sturdy all-purpose bag is ready for just about anything! This tool isn’t luggage (obviously) but it can make your packing less stressful. 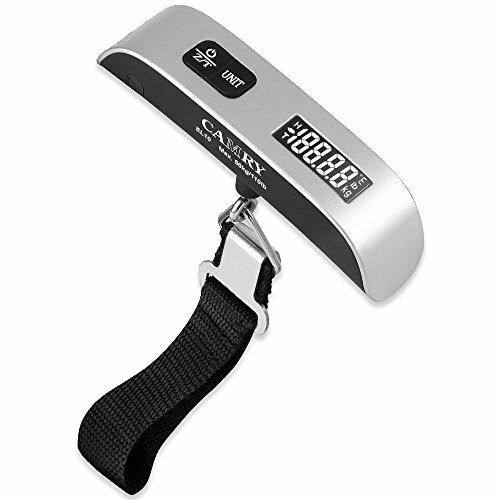 The Camry Luggage Scale with Temperature Sensor, is a small and handy digital scale accurately weighs your bags (up to 110 lbs. ), making sure that you always know exactly where you stand before your flight. 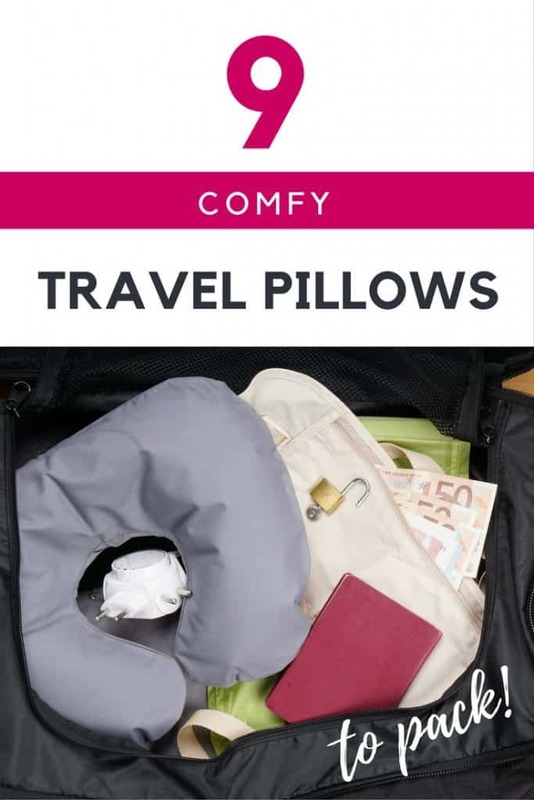 It also makes a great gift, especially for frequent travelers! For the frequent traveler, this Merax luggage set is a dream. Designed for comfort and functionality, this reliable luggage protects your belongings, providing peace of mind when away from home. 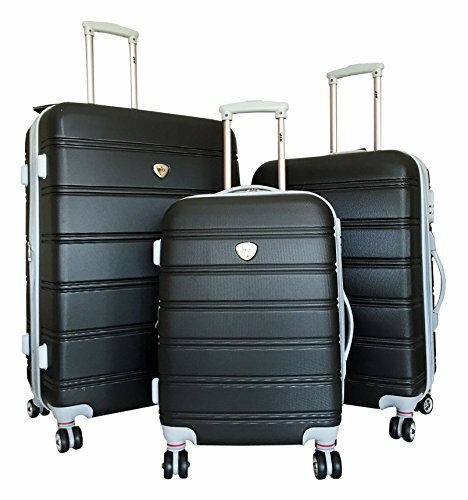 The beautiful trio of cases measure, 28 inches, 24 inches, and 20 inches (carry on), offering you a variety of packing options and is a complete luggage set. 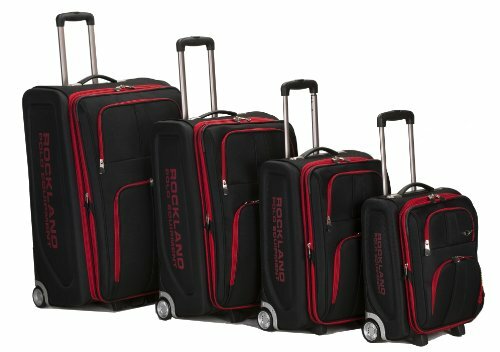 If you like practical and sporty luggage, the Rockland Luggage Varsity Polo Equipment 4 Piece Luggage Set might be right for you. 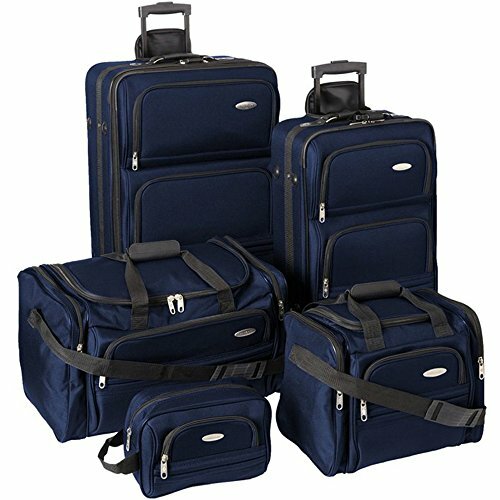 The roomy 4 piece set has retractable handles and jumbo wheels, and every bag is made from polyester fabric for durability and protection! 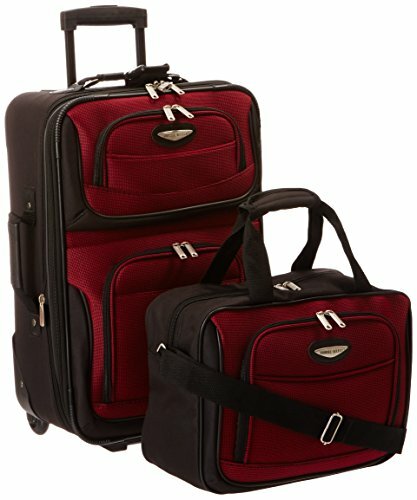 For those quick trip overnight trips when you really don’t want to check your luggage, this Travel Select Luggage Amsterdam Two Piece Carry-On Luggage Set is the perfect choice. There’s a 21 X 14 X 8 upright and a 15 X 11 X 6 tote, providing you with flexible organizational options in a small amount of space! Constructed of durable polyester, the American Tourister Luggage 3 Piece Spinner Set is classy and beautiful, for the discerning traveler. 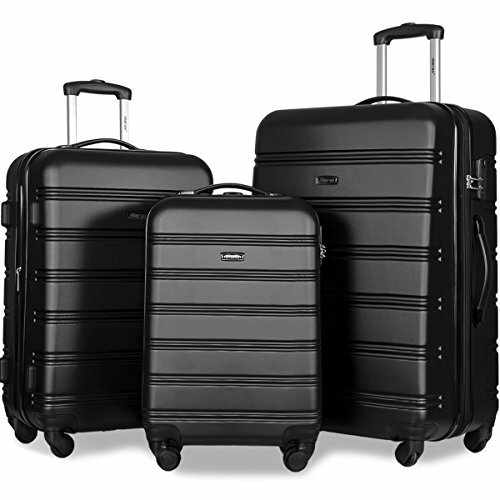 Three sized bags, each with nylon linings and zipper closures – each case includes a set of multi-direction spinner wheels and a retractable handle for easy mobility. This luggage will make your next adventure even better! 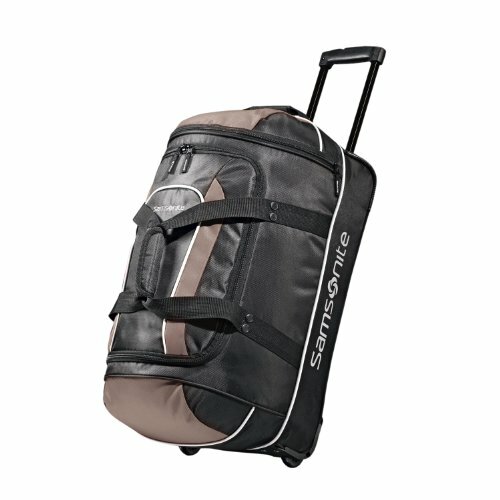 Get the easy flexibility of a duffel bag with the easy mobility of rolling luggage with the Olympia Luggage Sports Plus Rolling Duffel Bag. The bag measures 29 inches and has eight different pockets to give you lots of packing options. 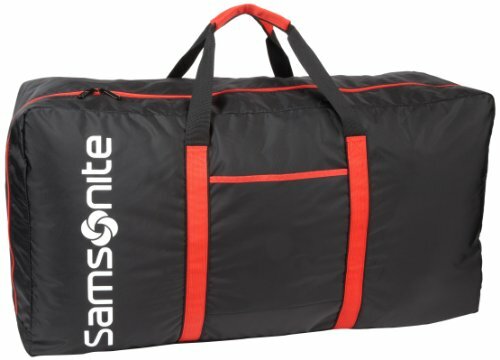 Constructed of tough polyester, this duffel keeps your belongings safe as you travel! If you do a lot of flying, you know the annoyance of rolling luggage that doesn’t roll smoothly. 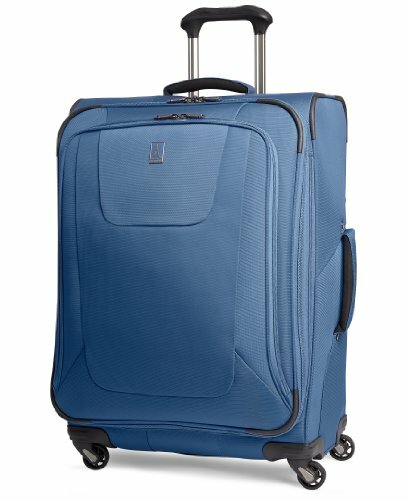 But with the Travelpro Luggage Maxlite3 25 Inch Expandable Spinner Bag, it’s smooth rolling all the way. The 4 wheel spinner system provides a smooth glide with 360 degree maneuverability and the handle locks in two positions, making it comfortable for most adults, regardless of height! 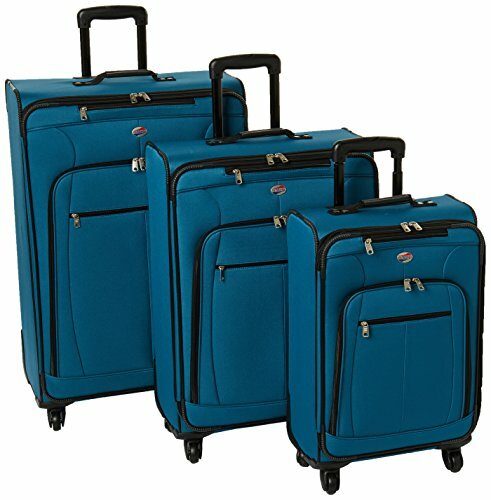 If you prefer sturdier suitcases for your travel needs, this 3pc Hardside Luggage Set might be just right for you. The durable hardsided luggage comes with expandable sides to better suit your packing needs. With sturdy handles and solidly built wheels for easy maneuverability, this 3 piece set suits all your travel needs! 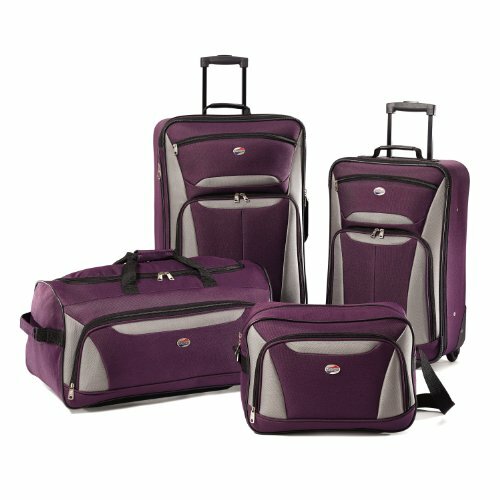 If you’re looking for a great deal on luggage, this American Tourister Luggage Fieldbrook II 4 Piece Set may be just what you need. This four-piece set is made of 100% polyester with a fabric lining and a zipper closure. 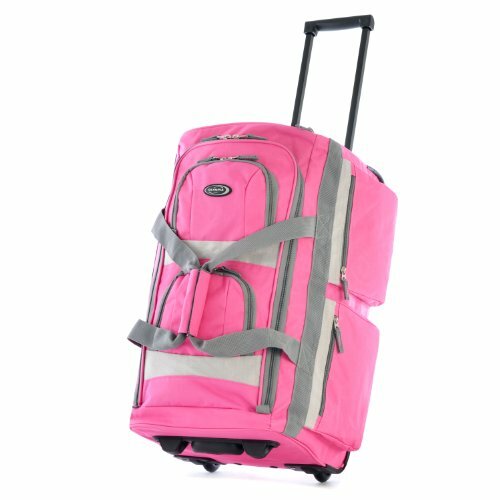 The ultra light-weight construction makes this luggage easy to handle and the multiple pockets keep you well organized when away from home! 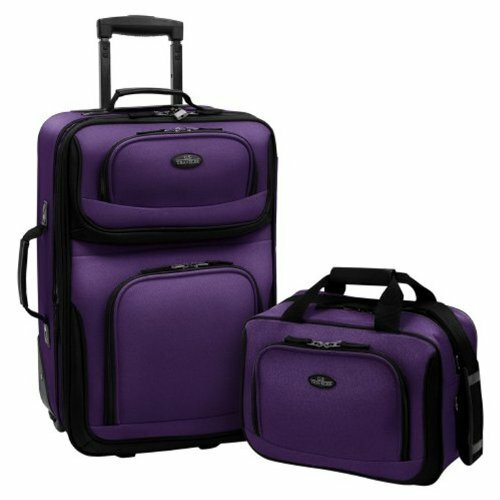 With the U.S. Traveler Rio Two Piece Expandable Carry-On Luggage Set, you’ll feel like you are traveling in luxury. Two nice and roomy bags keep your belongings safe and secure. With multiple pockets and expandable design, you can take everything that matters. The retractable handle and inline skate wheels provide easy mobility when walking. Traveling is easier with the right luggage. If you travel a lot, you know the importance of having a full set of luggage. Unfortunately, storing so much can be a problem. But with the Samsonite 5 Piece Nested Luggage Set, you get it all. With a 26″ upright, 22″ upright, a travel duffel, a travel tote, and a toiletry kit, you have plenty of room to carry everything you need. And when you are home, all your bags nest nicely into one for easy storage! The ultra-sporty Samsonite Luggage Andante Wheeled Duffel is convenient and roomy, perfect for the casual traveler. Made of 100% polyester with nylon lining, the large bag has a number of pockets to help you organize your belongings just the way you want them. It is complete with comfortable carry handles as well as a retractable handle and wheels when you’d rather roll it along with you. How’s that for convenience? When one piece of luggage is all you need, it might be time to consider this Rockland bag. Made from 100% plastic, this sturdy case gives you plenty of room in a convenient carry-on. Keep your most important items close to you during those quick trips out of town! 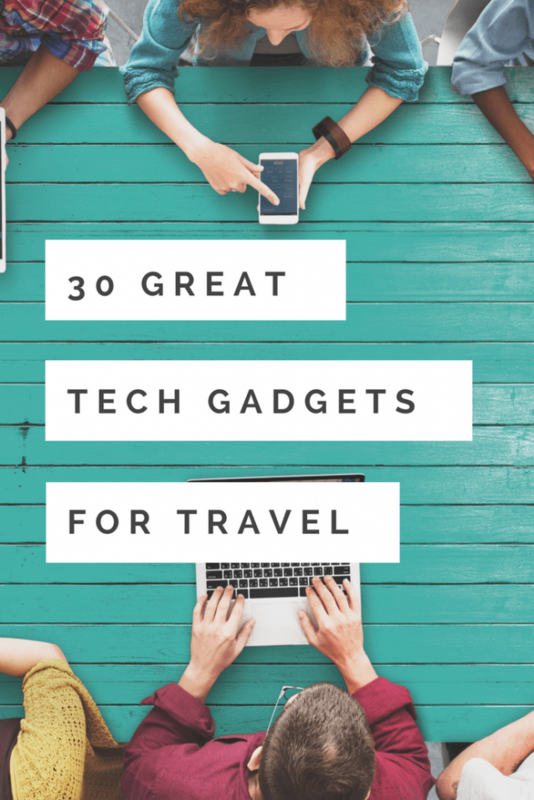 Cool Tech Travel Gadgets You’ll Want to Pack! This luggage is so practical and useful! I would definitely love to have it for my next travel trip!